Keyboard Magazine's November 2011 Key Buy Award! Winner of Electronic Musician's 2011 iPhone/iPod touch/iPad App Editors' Choice Award! Winner of Billboard Music App Awards 2010 Best Music Creation App! Winner of Best App Ever 2010 Award for Best Musical iPad App! "Jordan's very capable use of his unique invention- MorphWiz must be a Godsend to his road crew. It's important to note that no Moog synthesizers were harmed in its production." "It's completely awesome and inspiring to play! 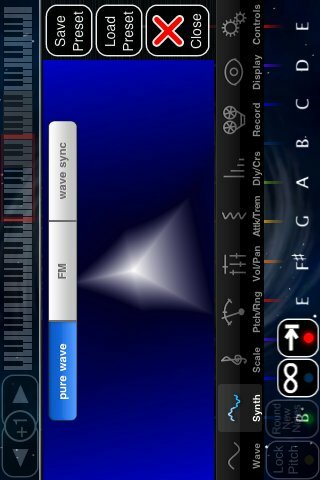 MorphWiz is the second app to bear the Jordan Rudess name. MorphWiz is partly inspired by the Haken Continuum Fingerboard, a radically innovative and revolutionary MIDI instrument that Jordan uses on stage and in the studio with Dream Theater. Like the Continuum, Jordan Rudess' MorphWiz is a vertical grid based musical instrument that allows a whole new level of expressive control! If you're a beginner, youâ€™ll love experimenting with all of the presets, but if youâ€™re a professional musician, you will soon be blown away by one of the coolest methods of controlling sound that you've ever laid hands on. â€¢ Finger Vibrato Effect (FVE) where you can achieve vibrato even when lock pitch is selected and the pitch is snapping to the grid!